Good news! 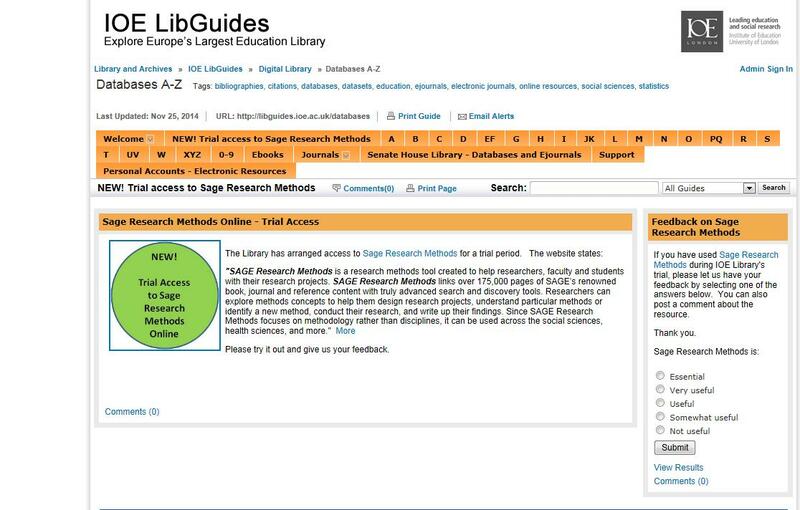 We now have trial access to Sage Research Methods! To gain access, see our Database A-Z LibGuide to find out more. In addition to thousands of pages of Sage content, there are lots of useful tools for understanding different methodologies and finding out which one(s) are best suited to your area of interest. 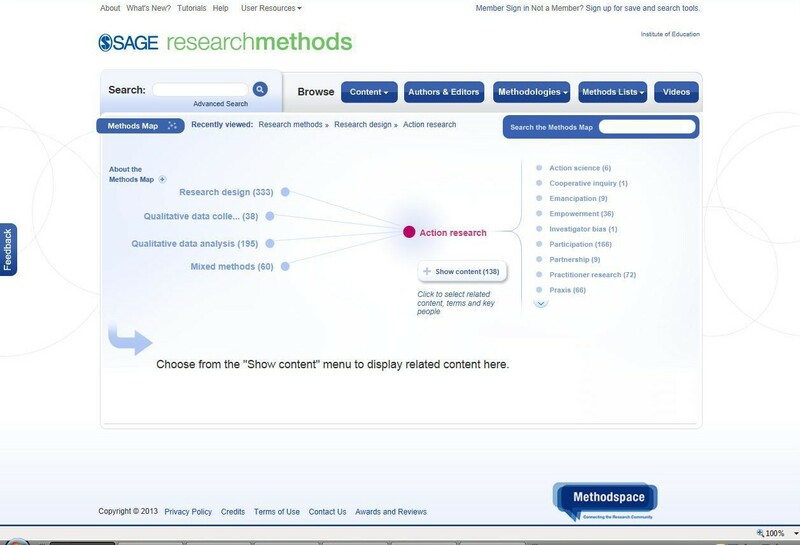 Using the Method map, you can choose the type of research you’re interested in and see what’s available. We’re always happy to receive feedback on resources so let us know how you get on.